Some of my favorite moments from last season’s Game of Thrones [SPOILER ALERT] are Stannis Baratheon’s continued preoccupation with the proper use of “fewer” and “less.” I recognize that this admission makes me a bit nerdy on several levels, and I am okay with that. In today’s world of texting, Twitter and whatever this ( ) is, the line on proper grammar has become blurred, particularly in the workplace. 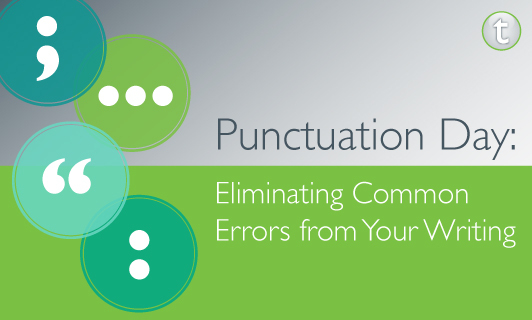 While casual communications between colleagues and clients may allow for the occasional “brb” or double exclamation point, good old fashioned proofreading still has its place (not it’s place, please). Good grammar may not improve your bottom line, but bad grammar can make you look unprofessional and uneducated, and it is especially bad for business in the PR industry when communicating is our core skill set. In recognition of National Punctuation Day, here are some of the grammar mistakes that drive us up a wall at Tonic. People seem to be quite confused by common homonyms and their spelling, as well as proper use of apostrophes: it’s vs. its; they’re vs. their vs. there; you’re vs. your. Let’s talk about quotation marks. Yes to using them to note written or spoken words and titles of songs, movies and books. No to using them for emphasis, as this can indicate an ulterior meaning of the word or phrase in question. Finally, the oxford comma. Whatever your stance (I’m against), pick a side and be consistent. In our world of words, how we use them demonstrates attention to detail, showcases good communication skills and generally makes sure people understand what you’re saying. When in doubt, consult the wise words of Weird Al Yankovic: https://youtu.be/8Gv0H-vPoDc.